A business often relies very heavily on its reputation and the image it carves out for itself in a given market place. A great deal of time, effort and money is invested in creating an image and a name that a business can be proud of, which it hopes its customers or clients will identify with. This is a business’s brand. A business brand is incredibly important to help establish and maintain relationships with customers; and it is for this very reason that competitors may imitate a brand, in the hope of taking away some of its custom. The intellectual property (IP) right of a trade mark was created to help combat this. This guide will explain what a trade mark is, how it works and the options available if a business wants to protect its trade mark from competitors. What cannot be trade marked? How do I trade mark my brand? Why would someone oppose a trade mark application? What should I do if someone opposes my application? How do I use a trade mark? Who owns the trade mark? How long does a trade mark last? How do I enforce my trade mark? A trade mark is a type of IP right which helps protect a business’s brand. It can be any sign provided it can be represented graphically and distinguishes a business from its competitors. Although they mean different things, the terms ‘brand’ and ‘trade mark’ tend to be used interchangeably by business professionals. The important thing to remember is that a trade mark legally protects a business’s brand and operates as a guarantee of origin. It allows the average consumer to distinguish one undertaking from another undertaking. Examples of highly successful trade marked brands include Nike, Apple, Coca-Cola and Samsung. In the UK, the Trade Marks Act 1994 sets out all of the rules regarding trade marks. It implements EU Directives that form a framework for trade mark law that applies in all EU member states. The Trade Marks Act 1994 details, in broad terms, what can be trade marked. 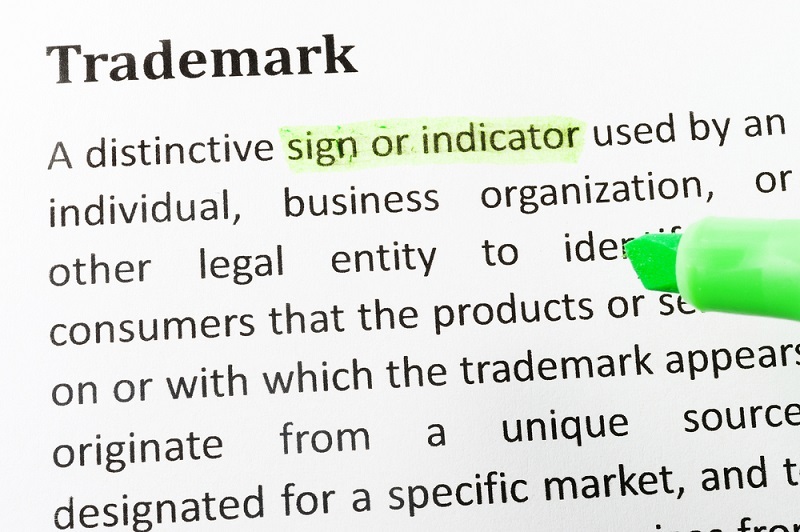 Under the legislation, a trade mark is defined as a sign that is capable of being represented graphically and distinguishing the goods or services of one business from those of another business. A business brand will only be trade marked if it is distinctive and identifies the business and its products or services as unique or individual. Business brands can be a combination of words and pictures or logos, or may simply be one or the other. Examples of these include McDonalds and Starbucks Coffee. Describes the goods or services or any characteristic of them – an example of this would be “Cornish Clotted Cream” for cream. Has become customary or popular in a particular trade – for example, in the restaurant trade, “Panda House” for Chinese restaurants. Is not distinctive – a company that specialises in the production of jams could not trade mark “The Jam Company”. Is a three-dimensional shape, if the shape is typical of the goods the business is interested in, has a function or adds value to the goods – for example, the shape of an orange for a business that supplies oranges. Is a specifically protected emblem – anything that is similar to or contains any part of a state flag; a hallmark; a name of an inter-governmental organisation; or an official sign will not be capable of trade mark protection. Is offensive – anything that is considered immoral, unethical or pornographic in nature. Is against the law – for example, names used to promote illegal drugs, such as ‘Heaven’ for cocaine. Is deceptive – no trade mark will be permitted if it conveys false information to customers, for example, describing bread as ‘wholemeal’ when it is not. Provided that the criteria mentioned above have been met (which means the brand is sufficiently distinctive to identify a business and its products or services) then a business can apply for a trade mark. Is there a clear representation of the brand for which the trade mark is being applied for? Is there a list of the goods and services that this trade mark represents? Are there contact details for the individual or business that is applying for the trade mark? All of this information is entered into the IPO’s database. The details provided to the IPO are then made public. If an applicant would rather their home address is not made public, they can provide the IPO with an alternative address to publish. The IPO will normally issue the applicant with an application number within six days of receiving this information. After the IPO has obtained the necessary information from the applicant and issued them with an application number, it will then examine the substance of the application and whether it complies with the Trade Mark Act rules. These rules enforce the requirement that a brand must be sufficiently distinctive before it can be trade marked, and it does not fall under the categories of things that cannot be trade marked. The IPO will send the applicant an ‘examination report’, detailing whether or not the application has been accepted and, if not, the reasons why not. The report will also give a deadline for the applicant to reply to the findings. The applicant can speak directly to the IPO regarding the findings of the report, before the deadline passes. One of the reasons why a trade mark application may not be accepted is because the IPO has found earlier trade marks that already exist and could potentially conflict with a current application. This is generally because the brand or services/ products are similar to already trade marked brands or services/ products. If an application is refused on these or other grounds, the IPO will allow two months for discussions between itself and the applicant on whether to pursue a trade mark application. If there are similar trade marks already in existence, and the applicant decides to continue with its application, the IPO will contact the owners of these other trade marks to notify them that a similar trade mark is about to be published. After this, or where the IPO finds no reason to object to an application, the final stage of the process will take place. An application that reaches this stage will be published in the IPO’s weekly Trade mark Journal. The publication will include all of the details of the trade mark application, including the name and address of the applicant. Following the publication of an application in the Journal, there will be no more activity from the IPO for a period of two months. This allows for what is called the ‘opposition period’, where any of the parties that the IPO has contacted regarding an application or any other party that feels it necessary to do so, can oppose a trade mark application. Any party that is considering opposing an application can have this period extended to three months. If no one opposes an application, the trade mark will be registered. The date on which this happens is the ‘registration date’ and is normally two weeks after the opposition period finishes. The IPO will usually provide applicants with a certificate that has all of these details included. While a trade mark can give great protection and commercial value to a business brand, it is also an expensive process. The application process involves the payment of a series of fees to the IPO. It is, therefore, an important commercial decision whether or not to pursue a trade mark to protect a business. During the opposition period, any third party can oppose the trade mark application on either absolute or relative grounds. If someone is opposing an application on absolute grounds, he or she has concerns about the entire application. Generally, the most common reasons why an application is objected to on absolute grounds is because a trade mark is considered to be describing goods or services, for example, ‘Cornish clotted cream’ or because it is not sufficiently distinctive. If a party is opposing an application on relative grounds, this means that they take issue with some part of the application. This is usually because there is an already existing trade mark that would be in conflict with the application if it is accepted. The IPO encourages applicants and parties who oppose applications to discuss the matter together, to see if there is a solution that suits them both. If the parties cannot resolve their dispute, then the matter is normally referred to a tribunal. Tribunal requirements are quite complex, so the advice of a trade mark attorney or specialist IP solicitor is recommended. When a trade mark is granted, the brand of a business is protected by law. No one else is allowed to use a similar or identical brand to sell or market similar or identical products or services. Although a trade mark is designed to stop opportunistic competitors from copying a distinctive and valuable brand, it can also provide trade mark owners with new opportunities. As mentioned above, no other party can make use of a brand or sign that is trade marked. However, a business may decide to exploit its trade mark by giving another party permission to use it on licence. The details of this arrangement are between the parties, but it is advisable to receive legal advice on exactly what the terms of the licence will be. Trade marks can also be used as a form of security. In exchange for finances, a business or individual can grant a party security in its trade mark. This arrangement should be registered with the IPO, and legal advice should be sought before any action is taken. The party that applies for the trade mark will be the owner of the trade mark (if the trade mark is granted by the IPO). It is possible for ownership of a trade mark to be transferred to a different party; this often happens when organisations merge. The IPO provides details of the paperwork that must be completed if a party wants to transfer ownership of a trade mark – you can find it here. A trade mark lasts for a period of ten years after the date the original application was filed with the IPO. After this, the owner needs to renew the trade mark to keep it in force. There is a fee for this. If the owner fails to renew the trade mark within six months of the renewal date passing, there is a further six months within which the owner can restore the trade mark. This also carries a fee. If a trade mark owner is late to renew, the IPO will require reasons why a trade mark was not renewed on the renewal date. The IPO may refuse to restore a trade mark if it is not convinced by the reasons. As mentioned earlier, trade mark protection can provide a great deal of commercial value to a business. It is because of this that competitors may still attempt to infringe a trade mark. The IPO and the courts suggest that trade mark owners pursue litigation as a last resort. Instead, they encourage parties to engage in a dialogue to help resolve the infringement without involving a third party. The IPO recommends mediation as a dispute resolution procedure. This is often cheaper and quicker than court litigation. If the parties are unable to resolve a dispute, or if mediation does not provide a solution which satisfies both parties, then litigation might be considered. However, litigation can be lengthy and expensive. Legal advice should, therefore, be sought.